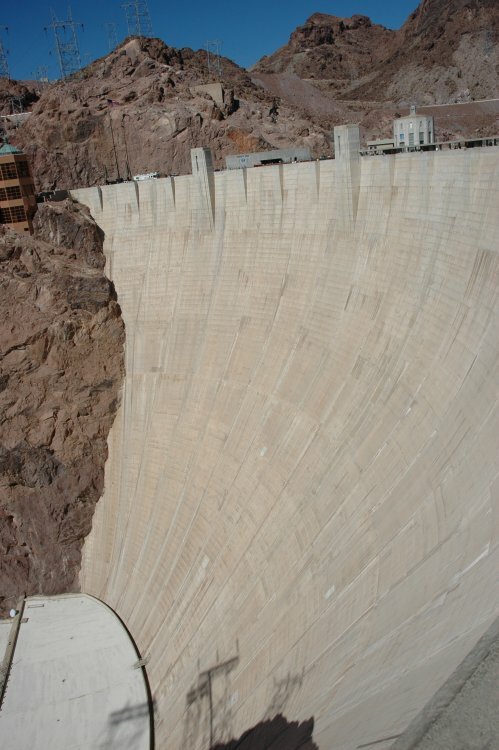 The top of Hoover Dam. 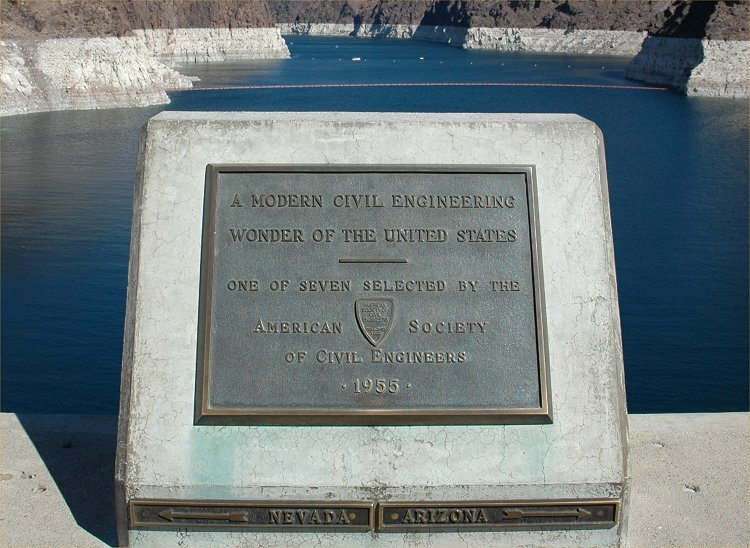 Lake Mead is not visible, but is to the right in this image. 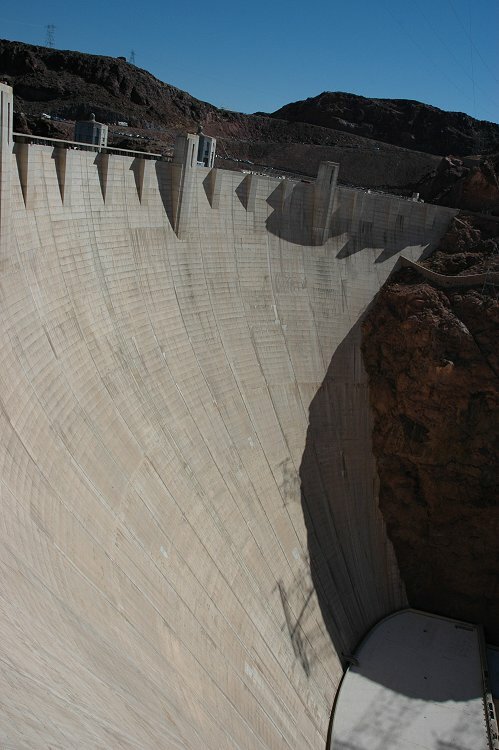 The front of Hoover Dam, looking west. 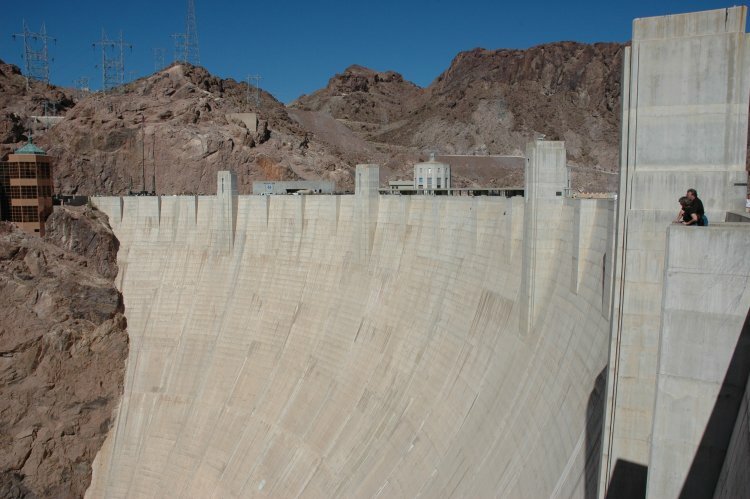 The front of Hoover Dam looking East. 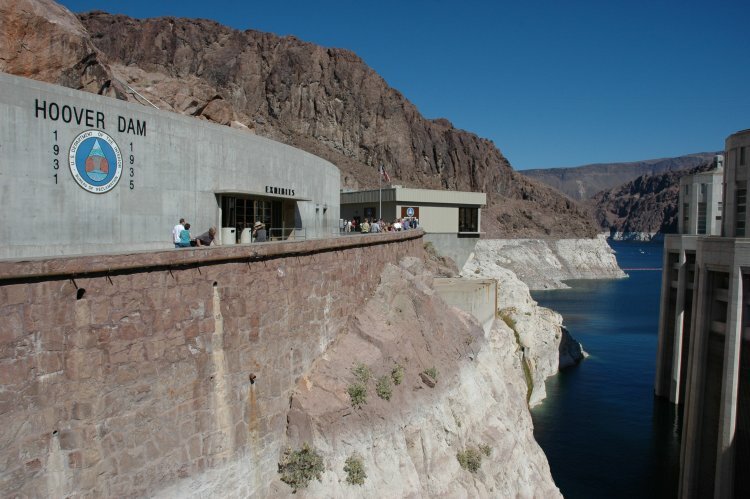 The Hoover Dam Exhibits building. The white "bathtub ring" is also visible in this image.